In the weeks and months that followed the May 2017 WannaCry cyberattack, securing NHS IT systems became top priority. The Government pledged an additional £150m for the NHS to tackle cyber security and NHS Digital set targets for training to improve information governance. Ensure you have a clear picture of who has access to what and understand if that access is appropriate for the job role. Visibility of system access must underpin identity and access management. People move roles, they leave, and new people come into the organisation. Management of staff changes should be immediate and efficient – opening or closing access as appropriate to limit the risk of unauthorised access. Staff are a Trust’s biggest asset, but when it comes to cyberattacks – they are its biggest weakness. Educating staff about safe IT usage and what action to take should an incident occur, is critical in an organisation the size of the NHS. Ensure that you apply the latest system patches and updates timely to protect against the latest scams. Migration to Windows 10 also provides additional cyber protection. Management of these systems should not cause the NHS additional administrative pressures. Automated systems, managing staff records and access provide the much-needed support to ensure accurate, timely records are kept within the NHS. BDS Solutions’ Directory Manager closes the loop between ESR, Active Directory and NHSmail, providing an effective link and removing additional admin of updating and ensure the accuracy of all three critical systems. BDS Solutions also supports many Trusts in the migration of systems, such as Windows 10. 2017 proved to be a hard lesson for the NHS but one they should not forget. Building better defences with knowledgeable staff and robust systems, prevents serious impact on hospital operations and the security of patient data. We recently attended NHS Digital’s Windows 10 live event in Manchester where our Solutions Architect Dean Lockwood spoke about maximising the benefits of Windows 10. To read more, please click here. Health Secretary Matt Hancock has promised new measures to tackle assaults on NHS staff – which have reached a five year high. The latest figures show that 15 per cent of NHS staff reported physical and verbal abuse in the course of their duties – but many more are facing abuse and threats via their work computers from cyber criminals. The NHS has become a prime target for cyber criminals looking to access sensitive data to manipulate the NHS or to inflict operationally crippling viruses. If an employee inadvertently opens the door to cyber-attackers, the results can be significant, and the employee can be psychologically harmed. With the NHS trying to attract and retain staff, one of its biggest challenges is building a safe working environment. Staff are an organisation’s biggest asset – as well as an organisation’s biggest responsibility. As with verbal abuse, the repercussions of an online or cyber-attack can be well hidden and long-lasting. If a member of staff believes they may have caused a cyber-attack, the psychological effects may be detrimental to their mental health. Ensuring your identity and access management systems contain accurate data. By introducing automated synchronisation of data, NHS Trusts can be confident that the right people have access to the right systems. Installing BDS Solutions’ Directory Manager which coordinates data automatically between ESR, Active Directory and NHSmail, so staff records are effectively managed to ensure the primary ‘source of truth’ is preserved. Developing a culture of responsibility for work accounts. Employees should have individual access details and should not be sharing. Introducing a no-blame ethos that encourages communication. Reporting an attack quickly can save valuable time and limit the impact. Training staff to not be scared to report incidents and reassuring them that there are no repercussions is vital. Training staff to spot suspicious activity. NHS employees are busy but training them to question unusual behaviour or requests will help to protect NHS systems. A zero tolerance approach to attacks on staff shouldn’t just focus on physical and verbal abuse, but also identify risks online. 2017 was a challenging year for NHS IT teams; the impact of increasingly high staff turnover rates, the influx of technology adoption and some well-publicised cyber-attacks. As NHS CIOs and CTOs plan for 2018, managing the constant state-of-flux typical of the NHS must be central to IT strategy. The complexity of managing such a vast number of employees is an ongoing challenge for the NHS. With a wide range of systems, they must ensure that access is controlled; allowing employees to do their jobs, but withdrawing access for leavers promptly. Automation of these processes is the only way to accurately manage this area, as significant NHS staff turnover rates continue. In March 2017 NHS vacancies soared by 15.8%, compared to March 2016, and this rising staff turnover trend is not a one off. Month-on-month, the NHS is challenged by staff instability and record numbers of leavers. Shifting employees has a knock-on effect for IT, as they try to keep up and ensure access is removed for leavers and added for new starters in a timely manner. This can only be achieved by removing the onerous task of manually entering details into multiple systems and enhancing automation, with systems such as BDS Solutions’ Directory Manager, to enable efficient identity management. Cybersecurity will always be an ongoing risk for NHS, as will ensuring systems stay updated and stay operational. Business continuity is central to patient care, so should remain at the top of the CTO and CIO agenda. Prioritising patches and upgrades is critical to ensure your systems do not fail. If systems stop working, medical and administration services come to a halt. One of the biggest challenges for the IT department is having the time or the window of opportunity to conduct these important security and system upgrades. This has been identified as critical but difficult to resource, with many organisations now favouring BDS Solutions patch management services to provide ongoing protection. The commissioning of Trust-wide Wi-Fi is becoming increasingly common, coupled with more systems available via mobile devices, all enabling clinicians to have a more agile approach to treating patients. Providing advice, ordering tests, scheduling appointments, or viewing and updating records are all conducted alongside the patient to enable more accurate records to be kept and more efficient patient care. Technology is fuelling mobility across many industries and it has already had a significant impact in the NHS; not only arming medical staff to conduct their roles more efficiently, resulting in less frustration for both the staff and the patient, but also delivering a more productive working day. This will continue to be a key focus in 2018. NHS CIOs and CTOs agenda in 2018 must centre around agility and automation to support efficiency in identity management, business continuity and mobility. Increased collaboration between organisations under the evolving STP framework, optimising and sharing resources within the local NHS community, and building a shared infrastructure model in line with that supported by BDS Solutions across the NWSIS, will create a more robust and productive NHS. The global WannaCry attack in May hit a third of English NHS Trusts; according to a report released last week by the National Audit Office (NAO), it could have been prevented. The cyber-attack was a blow to the NHS’ reputation, with reportedly 6,900 appointments cancelled, but the impact was felt by up to 19,000 appointments. According to the NAO report, the Department of Health and the Cabinet Office warned Trusts as far back as 2014, to ensure that they completed patches and migrated away from older software to mitigate risks. Despite these warnings, Trusts did not act on critical NHS Digital alerts. WannaCry spread across 150 countries, but made headlines in the UK due to its extensive spread across NHS England. Branded a fairly unsophisticated attack, WannaCry highlighted a major flaw in the NHS IT environments. With the NHS focus on becoming more productive and efficient by utilising IT applications and infrastructure, this was a wakeup call for Trusts to put in place an ongoing programme to protect their critical assets. The NAO report identified an assessment by NHS Digital of 88 Trusts (out of 236 Trusts) conducted before the attack, which found that none met the required cyber security standards. Gaps in patch management was one of the major issues that the NAO identified. Due to time and resource constraints, updates were regularly missed. The NHS praised staff for their quick response to overcome the attack, yet the report highlights that more should have be done to proactively prevent this attack, rather than rely on a reactive response. BDS Solutions’ believes patch updates should be an integral part of IT management. From experience, we work with a number of NHS Trusts and the take up of our patch management service, as an add-on to Directory Manager, is on the increase. The attack has raised the awareness of the importance of considering updates, as a fundamental part of risk management. The NHS needs to ensure it protects itself for the next attack. Cyber-attacks are gaining in sophistication and the NHS needs to take the May attack as a warning. The Trusts that were hit were lucky, patient data was not lost or compromised, but next time they might not be so fortunate. Putting in a place a robust plan that is adopted by all Trusts is essential. As is, ensuring patches that have been designed to protect against the latest security threats are implemented in a timely way. Only then, can the NHS be confident that the risks of cyber-crime are managed to the best of their abilities. More about BDS Solutions’ patch management solution can be read here. The recent ransomware attack targeting the NHS grabbed headlines earlier this month, due to the sheer scale of it. Yet, the cyber threat was not a one-off and certainly won’t be the last that targets our healthcare sector. Trusts are aware of the risks and this latest ransomware attack has seen a surge in security activity. However, the important step is not to panic. 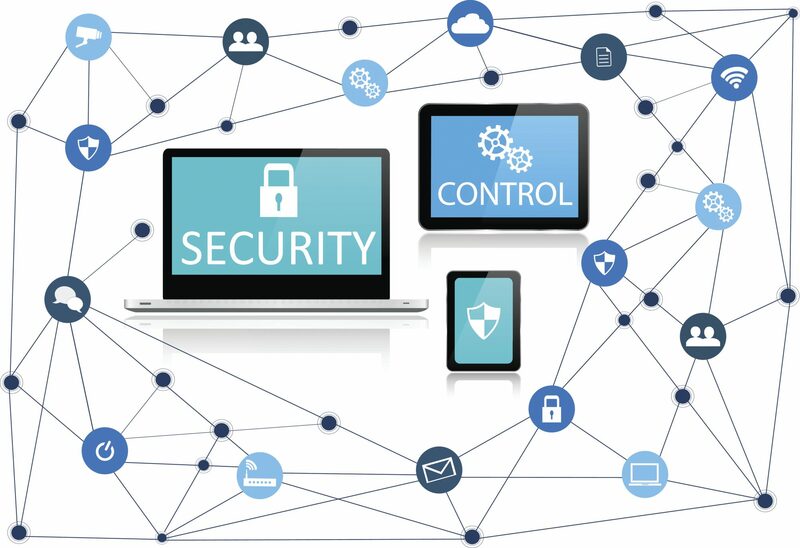 Security should be considered as a long-term strategy, ensuring systems are future-proofed and continuously updated to protect against the rising sophistication of attacks. Developments in IT offer many advantages for the NHS, but also create a huge number of vulnerabilities. These areas must be identified and procedures put in place to create a practical security solution. BDS Solutions works with NHS organisations to devise a long-term security strategy that will ensure these vulnerabilities are managed and sufficient security is put in place to combat the changing IT environment. Coupled with this, cyber criminals are becoming more creative in their attacks and the level of sophistication of the technology will mean the NHS or any other organisation will not be able to totally stop attacks. Limiting the possibility of an attack, and the subsequent damage caused, is the best strategy. This should be an ongoing, continuous effort if Trusts want to ensure the best protection. In our blog on 20th March ‘Top 10 Tips: Protecting the NHS Against Cybercrime’ you can find some practical first steps to tackle cyberattacks. 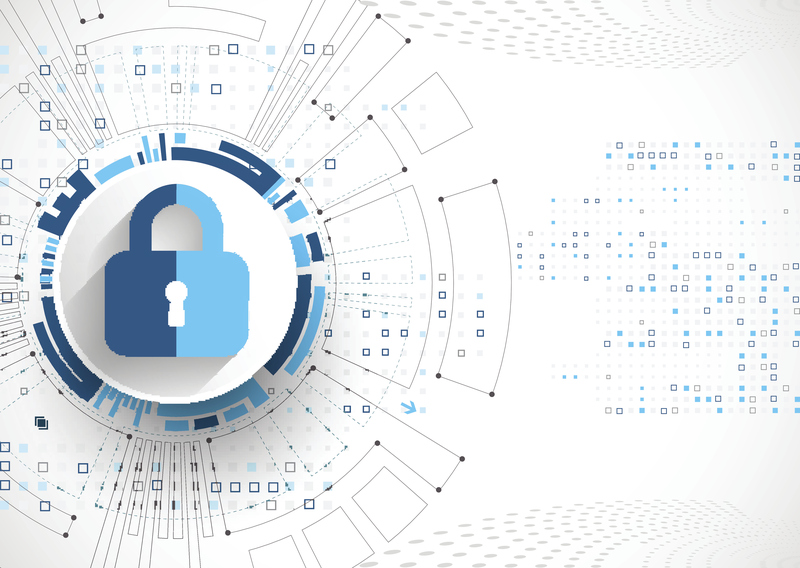 With so much public focus on the recent attack, it is easy for Trusts to quickly purchase and implement security solutions to enhance security. But there needs to be a more considered approach to protection. Have you analysed your weak spots? How do you know that the solution you’ve been given is addressing those weak spots? It may protect you now, but what about in the future? Many Trusts are under the same pressure. Huge IT estate, minimal budget and extensive transformation needed to safeguard systems. This is a challenge and so security must be appropriate for the current NHS infrastructure, as well as for future implementations. The ransomware attack has raised awareness of a vital, ongoing issue for Trusts. Security must be high on the NHS agenda, with so much reliance on these digital systems for the majority of its workers. A considered strategy and proven security solution, supported by a professional partner is the NHS’ best defence to future cyber-attacks. BDS Solutions is a leading NHS technology partner with 20 years’ experience helping organisations work more effectively together. BDS Solutions offer practical help in protecting the NHS against cybercrime and provide an entry level Flexi-Care Support contract that gives access to highly skilled Microsoft consultants, extended to 24 x 7 out of hours support on an incident based cost. Contact us today for more information on how we can protect and support your organisation.